Features Low maintenance Low power consumption. We are a leading name in the domain of offering a high grade solution for providing and installation of Cold Storage for Mango services, we have been successful in offering these excellent cold storage units that are made of latest technology and are ideal for preserving frozen food items. 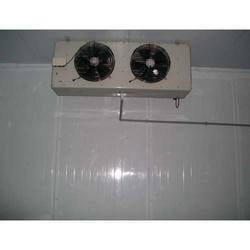 These cold rooms have vapour-proof light fixture intended for trouble-free lighting within the cold room for the perseverance of mangoes and other perishable fruits throughout the year or quite long period of time. We understand the critical need of the dairy and Ice-cream sector and hence we offer our clientele`with Cold Room for Ice Creams. 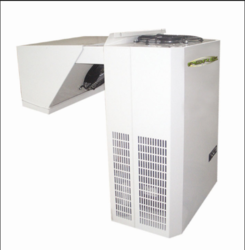 These specially designed cold rooms are highly reliable in maintaining correct temperature of storing ice creams and quickly pull down core ice-cream temperatures to enable ice-cream hardening. These are so well designed that they efficiently maintain low temperatures even while consuming low power. 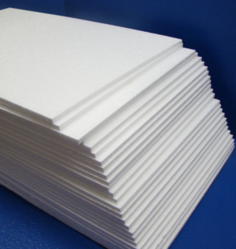 Our cold rooms are highly demanded in various ice cream factories and restaurants. Thickness 60mm, 80mm, 100mm, 125mm, 150mm. We are engaged in offering to clients with our excellent solution in Cold Storage Room for Fruits Our in-depth expertise in the domain enables us in setting up of cold storage units at their premises as per the specific industry standards. Our technicians and quality controllers are well aware of the latest technology and ensure proper functioning of these cold storage units. 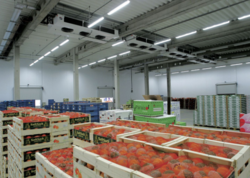 These cold rooms are designed to ensure that airflow speed is in right accordance and directed away from the produce, so that turbulence is avoided even while maintaining desired conditions. These serve as an ideal for storage of fruits and vegetables and keep these fresh for a longer period of time. Easy on installation and maintenance our range of Cold Storage for Green Peace is highly insisted products from our services. These cold storage services keep green peas covered in refrigerated storage to prevent them from drying or getting rotten; prevent odours from one food to another. These cold rooms hence serve the industry and society in achieving the fresh green peas in every season other than the winter seasons. They also help in retaining the quality of the product in every aspect be it in look, feel, touch, taste or chemical composition. We are authorised Sales & Service Dealer for Bluestar. We offer cold room especially designed for storage of food, Phrama , Chemical, Fruits & Vegetables, Dairy , Meat items. 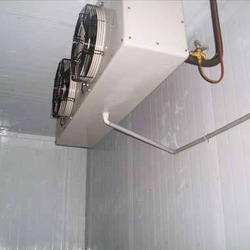 Our rendered cold room is efficient in storing the vegetables, fruits and raw meat, for a long period. 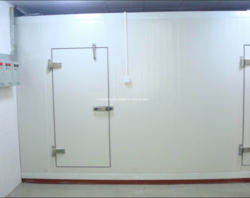 The offered cold room is very useful for the food industry, owing to the controlled storage of edible food items. Since our origin, we are engaged in manufacturing the best quality array of Cold Storage Equipment that is tested against several quality parameters under the strict vigilance of our vendors' quality experts.Cold Storage Equipment is standard preservation chambers built at the site to desired dimensions and cooling specifications. We are your one stop frozen item solution shop; we bring to our clients with top grade quality of Cold Storage for Frozen Items preferably semi-perishable and non-perishable items. 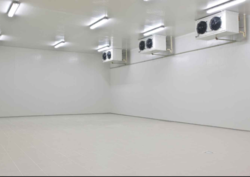 These cold storage rooms keep a controlled atmosphere within the unit so as to maximize the shelf life of the products. Special attention is given for the manner in which different foods are stored so that they depend on the quantities in which they are brought and the type and size of the storage space. 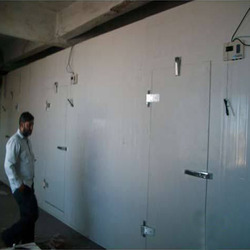 Our cold rooms are highly suitable for agriculture sector, horticulture, floriculture units. These are equipped with aesthetic flush-fit door, efficient, heavy-duty flush-fit doors with FRP door perimeter. Each part of the cold room is consisted of walls, ceiling, floor, doors and corners and special panels designed for the purpose to ensure perfect fit. We please to introduce ourselves as the most trusted and technologically sound service provider for offering installation of cold storage units especially Cold Room for Apples. Our services are well acclaimed for their functional efficiency in the preservation of goods. The installation services are carried out with the help of a team of skilled technicians. Further, these cold rooms are designed and developed as per the international standards, and are highly effective in preserving the shelf life and nutritional value of fruits, vegetables and processed food products. Looking for Cold Storage Rooms ?